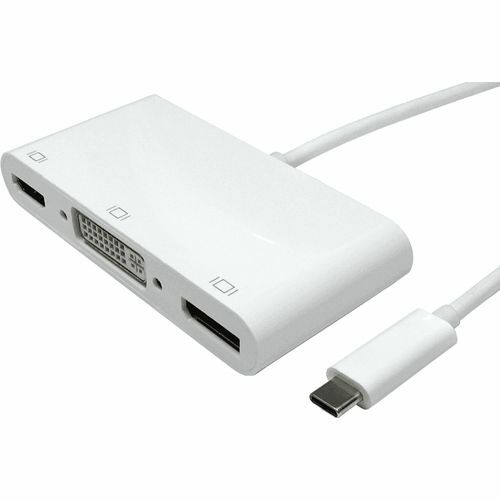 This is a Type-C to DisplayPortHDMI and DVI Adapter. It allows you to transmit signals from a Type-C source to a high definition DisplayPort or HDMI or DVI display (TV sets, projectors, etc). It can work on Macbook or Google new Chromebook Pixel and other USB-C supported devices.